Thanksgiving is here! Which means turkey, pilgrims and pumpkin pie for some, but for us down south, more importantly, it means Black Friday! In recent years Black Friday has become an established day on the festive season shopping calendar, with outrages deals on technology, clothing and even travel, some may argue it’s worthy of a public holiday. South African’s have embraced the discount festival, which now extends to Cyber Monday, with such zeal that strategies of store mapping, route planning and ‘shopping day’ game plans are being implemented, to make sure not a minute is wasted getting to their favourite stores, ensuring those significant deals aren’t missed. But did you know that you can take advantage of most Black Friday deals without stepping a foot out of your very comfortable home and into shopping mayhem? In fact, the savviest shoppers know that there are additional deals to be found online which are exclusive to brands’ online stores, otherwise missed in their brick and mortar stores. And, in the UK, one in three online orders make use of a click and collect service, in an attempt to beat Black Friday madness. 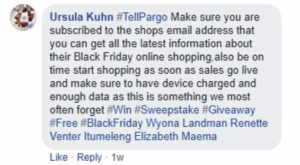 Pargo asked some of our expert deal hunters who are in the know, to enlighten us with their tips on how to prepare for Black Friday and get the best out of the bargain day. Not all discounts are as they seem. Sometimes retailers inflate product prices just ahead of Black Friday to make the discount seem bigger than it really is. To avoid this, track the prices of the products you want to buy throughout the year to see how they change to make sure you’re not being pulled a fast one. Because you have already created a list of items you want to buy, you are able to compare those product prices at various online stores. You could do this by using a tool like PriceCheck, or manually by creating a spreadsheet and inputting varying prices. By doing this ahead of time you’ll save time on the day and reduce your levels of anxiety. Before you spend a single solitary cent on Black Friday, make sure you a set a budget and stick to it. Note all those items you’re hoping to buy and put a price on how much you expect spend. Make that your strict budget limit – spending more is unacceptable. Don’t fall into a trap buying something just because it looks like a great deal? Remember if you haven’t researched it, you don’t really know if it is. Firstly, think of all the things you could do, beforehand, to make the purchasing process easier and smoother on the day? 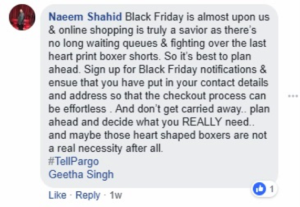 Signing up to your favourite retailers’ newsletters is a low ‘time investment’ way of staying on top of Black Friday promotions and probably more accurate than doing manual price checks because the info is coming straight from the source. It’s also easier than following those brands on social media. Secondly, make sure to sign up to or maintain all the accounts of the online stores you plan to shop at on Black Friday. Do this now. Make sure your shipping and billing addresses are completed, correct and saved, as well as your credit card information. You don’t want to be wasting time with this admin on the day. It could mean the difference between a lounge with a big screen or one with a very old very small laptop screen. Black Friday starts at 00:01 on 23 November 2018, so that’s when you need to set your alarm for. Some online stores may only go ‘Black Friday’ from the time their physical stores open. But, if you adhere to tip 4 and sign up to the newsletter, you’ll probably be given a heads up on this. Black Friday shopping is way more fun and a lot faster if you’re doing it with friends and family. 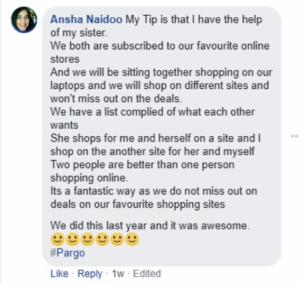 Decided on the items you want, where you’ll buy them from and then divvy up the store list between however many of you there are……as our Pargo expert deal hunter recommends, don’t forget snacks, you’ll need to keep your energy levels up. Remember to bookmark retailers’ websites. It sounds obvious, but few people take advantage of this function. It’s basic organization that will save you precious minutes. You could even go so far as having the web pages open in advance. One step further than this is to add the items you want to your cart in advance. Beware though, this doesn’t work for every site, so you may need to go through the entire transaction again. But in many cases, you are able to add items to your shopping cart and once the sale has started, you can refresh your cart and the sale prices should change. Then delete anything you don’t think is worthy and proceed to checkout. This is of utmost importance if you’re shopping on an e-commerce site that’s new to you, look for two things: SSL encryption and Verisign protection. And of course, do this in advance. SSL certificates protect against payment card fraud because the encryption protocols make it difficult for hackers to capture and collect payment card information whilst in transit. Think of them as virtual armoured cash-in-transit vehicles. Avoid sites that look dodgy. It’s not the same as a book, you should judge a site by its cover. If it’s not professionally designed, it may mean the owner of the site isn’t a professional either. Better safe than sorry. 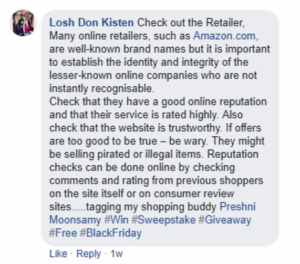 One of the best ways to stay safe while shopping online is to benefit from the experiences of others. It is always a good idea to check seller reviews on the many forums set up for this kind of thing. Tip 9 – Credit Card or Debit Card? 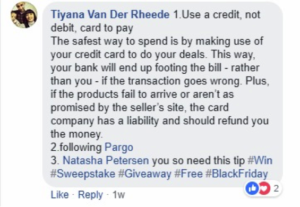 Consider paying with a credit card rather than a debit card because it provides additional security in case things go wrong, but be sure to pay for all items in full when the balance is due. A good deal ceases to be a good deal if you’re paying enormous amounts of interest on it. An additional advantage of paying with your credit card is that they often offer instant member-exclusive discounts or rewards bonuses for cardholders, typically in the 2% to 10% range, these discounts or rewards payouts become good value as they add up on top of existing promotions. This might sound like a silly piece of advice, but how often have you run out of data on your phone or tablet or grippingly looked at the 1% battery icon with its accompanying little red bar. Don’t let something as silly as this catch you off guard and regret missing the deal of the year. Make sure you understand shipping costs and policies. There’s no point in getting a ‘killer’ deal on the product and then paying a ‘killing’ amount just to ship it to you. 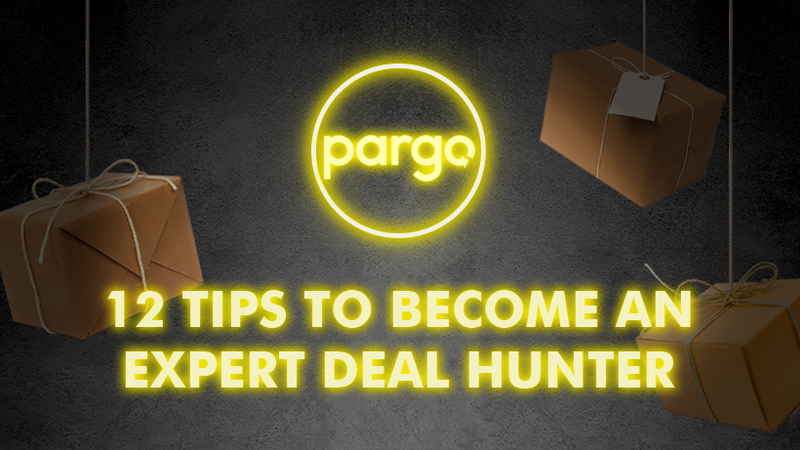 Our expert deal hunters recommend Pargo for reliable delivery of your precious goods. If you’re not tech savvy enough to perform tips 1 through 11, don’t despair! There is probably a child in your midst that can, literally ‘play’ this game for you. In this way, you can relieve huge amounts of stress. But remember to play responsibly, they can only assist in the days leading up to Black Friday, they need to be in school on the day! 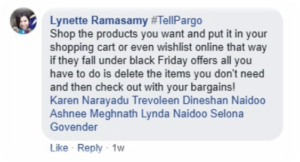 To check out all Black Friday deal hunting tips visit our Pargo Facebook Page.